You can share the pictures via MMS (Multimedia message services) or Email address through 4G GSM network in APP. You will get an alert message when something has happened. If you don’t insert your SIM card or disable MMS function, it can be used as a regular hunting camera. Would you like to see what type of creative activity you have on your favorite hunting trail or even at your holiday house or farm? You can take shot best images of deer, dingo, kangaroo, hog, wallaby and so on without knowing the camera was there. You can monitor your target even at night time and also review your photos or videos in illuminated monochrome files. You can share with your friends, family, farmers, hunters and more. Never underestimate the invisible flash technology power for photos, videos of your active location! This camera is waterproof. It comes with advanced sensor attached to the camera. So you won't miss any movement as this sensor are fitted in a perfect way that covering all angles and make it easy to capture any movement which comes into its range up to 20 meters and triggers a quick capture of images and video automatically. 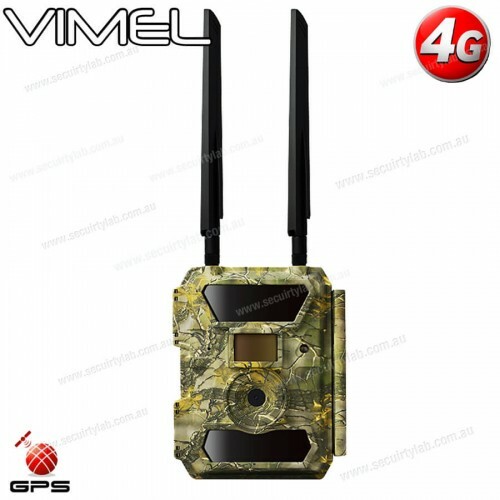 Vimel camera (VIM-4GGUARD) is the upgrade version with 4G LTE network support - digital scouting camera and it is with MMS/4G function, it can be triggered by any movement of game in a location, detected by a highly sensitive passive infra-red (PIR) motion sensor, and then automatically captures high quality pictures (up to 12M pixels) or records HD video clips (1080P). Then it can send the pictures (MMS: Multimedia Message service) or Email Address via 3G GSM network. You’ll be alerted just when something has happened. And the camera can be also used as a regular hunting camera if you don’t insert a SIM Card or turn off MMS Function. Careful waterproof and dust proof anti-corrosion protection , suitable for outdoor applications. Do you want to see what types of creature activity you have on your favorite hunting trail or even at your holiday house or your farm? You can capture great images of deer,dingo,hog, kangaroo,wallaby, and so on without them even knowing the camera was there. Monitor your target zone at night and review photos or video in illuminated,monochrome files. Then save and share with your mates, family,hunters,farmers or authorities alike! Never underestimate the power of Invisible Flash technology for photos or video of your active location! 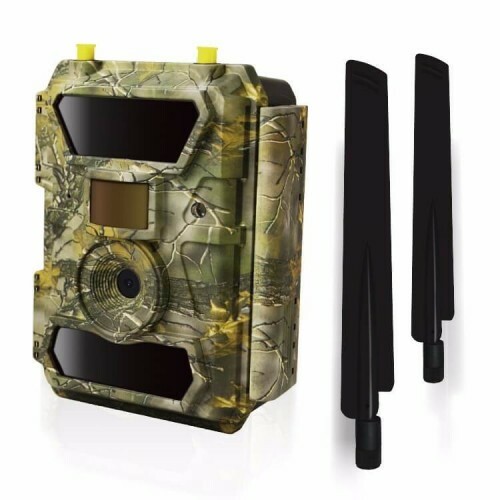 This high quality video and snap shot camera captures video and images automatically when anything that comes within the range of it's advanced infra-red sensors and all you have to do is leave it hidden and turn on the camera sit back and let this quality outdoor scouting camera do the rest. This camera is waterproof so you can use it all year round also comes advanced sensor attached to each side of the camera, so any movement will not be missed as these 2 sensors are fitted in a perfect way covering all angles and making it easy to capture any movement comes into it's range (20Meters) automatically triggers a quick capture of video and images. Solar Kit for Owlzer Trail CameraThe solar panel charges built-in Li-Ion battery inside the Owlzer trail camera, allowing you to extend battery life.Never worry about changing the batteries in Owlze..